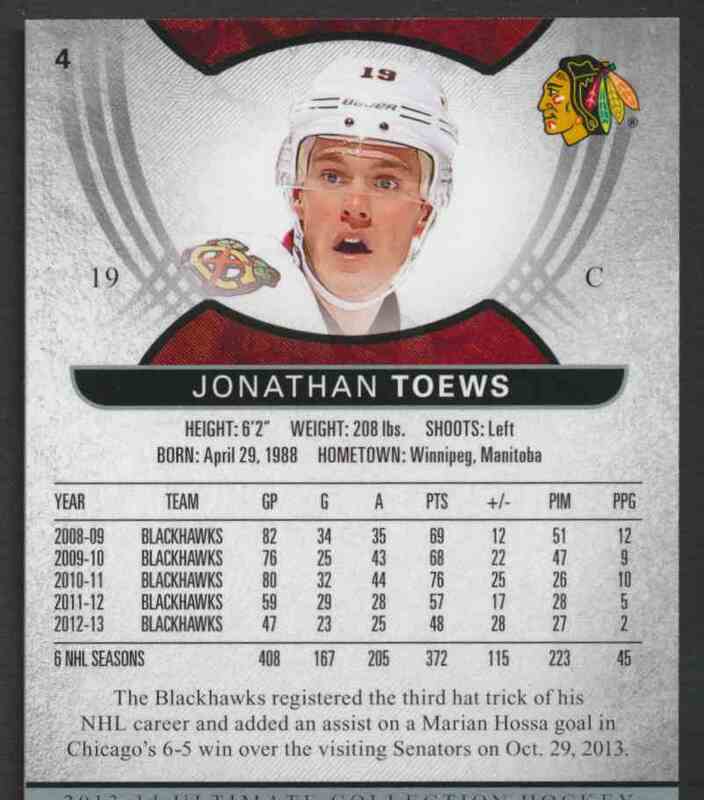 This is a Hockey trading card of Jonathan Toews. 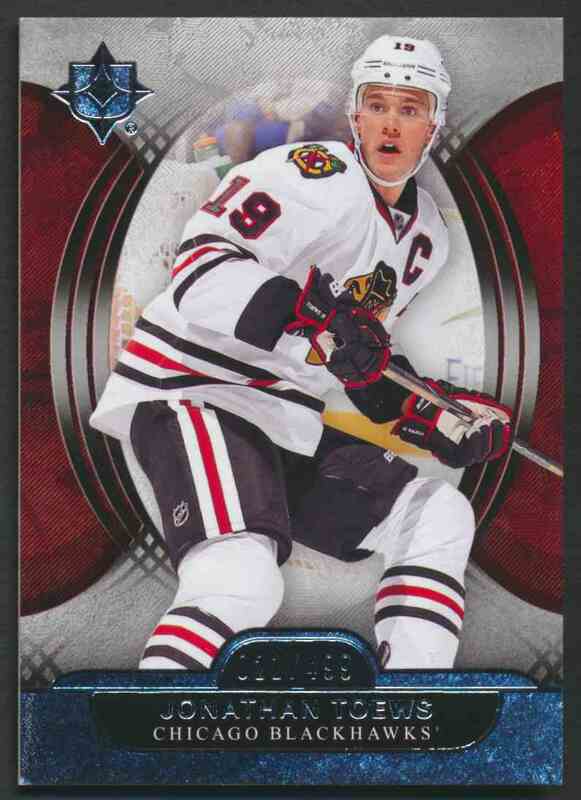 It comes from the 2013-14 Ultimate Collection set, card number 4, serial numbered /499. It is for sale at a price of $ 4.00.